A thread pool manages the pool of worker threads, it contains a queue that keeps tasks waiting to get executed. a (fairly) fixed set of long-running threads each sit in a loop pulling jobs off the queue and running them. In java A thread pool manages the collection of Runnable threads and worker threads execute Runnable from the queue. Let’s write a simple program to explain it’s working. First we need to have a Runnable class. In above program, we are creating fixed size thread pool of 5 worker threads. Then we are submitting 10 jobs to this pool, since the pool size is 5, it will start working on 5 jobs and other jobs will be in wait state, as soon as one of the job is finished, another job from the wait queue will be picked up by worker thread and get’s executed. Here is the output of the above program. The output confirms that there are five threads in the pool named from “pool-1-thread-1? to “pool-1-thread-5? and they are responsible to execute the submitted tasks to the pool. NEXT READ RejectedExecutionHandler Thread Pool Executor in Java. 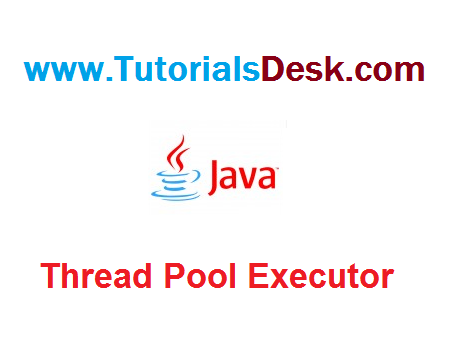 Hope we are able to explain you Importance of Thread Pool Executor in Java, if you have any questions or suggestions please write to us using contact us form. (Second Menu from top left).